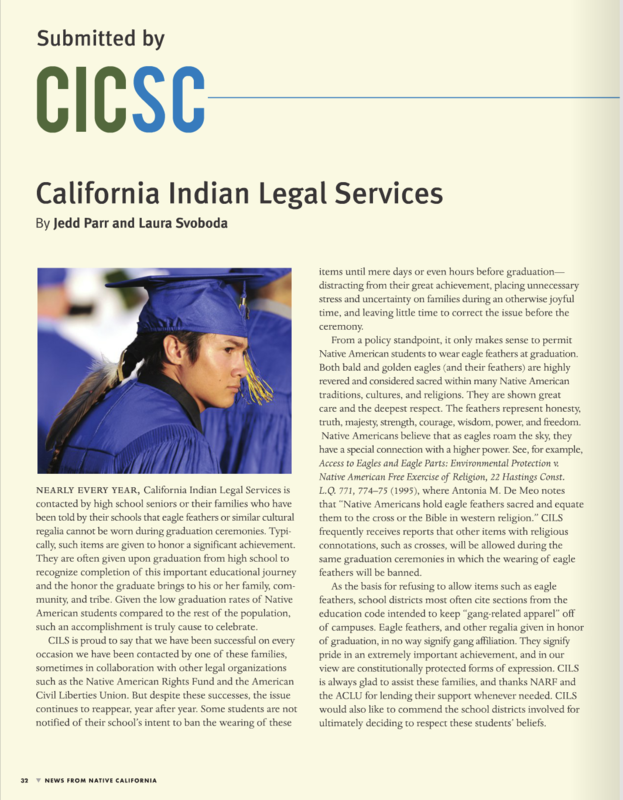 News article about CILS and our work with native high school seniors who are denied the right to wear regalia at graduation ceremonies. On January 2, 2017, the California Franchise Tax Board (FTB), the agency tasked with collecting state income taxes from residents, introduced Form FTB 3504, Enrolled Tribal Member Certification Form, on its website. FTB Form 3504, which was designed with input from tribal leaders and attorneys, allows tribal members to declare their tribal enrollment status and reservation residency in order to show an exemption from state income taxation. Without the form, the FTB does not always know who does or does not qualify for the tax exemption, which sometimes results in improper and unnecessary state income tax assessments. Q. How do I know if I qualify for the state income tax exemption? Q. Is my tribe federally recognized? Q. What is meant by the phrase my tribe’s “Indian country”? “Indian Country” does not include lands owned by your tribe but not in trust (fee lands) or your tribe’s aboriginal lands that are not in trust. Q. Where can I find FTB Form 3504 Enrolled Tribal Member Certification Form? A. The form is available on our website here or the FTB website here. Q. 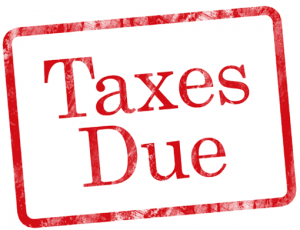 Is FTB Form 3504 required to get the state income tax exemption? A. No. FTB Form 3504 is entirely optional although filing it may prevent tax errors in the future. Q. What do I do with FTB Form 3504 once I fill it out? A. For people required to file a California income tax return, attach FTB Form 3504 to the tax return, and file use the address for that tax return. If you are not required to file a California income tax return, sign and mail the completed form to Franchise Tax Board, PO Box 1998, Rancho Cordova CA 95741-1998. A. FTB Form 3504 should be filed for each tax year that you meet the exemption requirements listed above. The form can be filed with your state income tax return by the standard due date or extended due date. For example, FTB Form 3504 for 2016 should be filed between January 1, 2017 and October 15, 2017. Q. If FTB Form 3504 is not required why should I bother filling it out and submitting it to the state? A. While no one is required to complete and submit FTB Form 3504, doing so can help you avoid getting unwanted notices from the Franchise Tax Board, even if the notices mistakenly claim you owe state income taxes. Many times tribal members who qualify for the state income tax exemption get taxed anyway because the FTB doesn’t realize they are tribal members living and earning income on their tribe’s reservation. FTB Form 3504 puts the FTB on notice that an individual meets these requirements, thereby reducing the chance he or she is assessed state income taxes by mistake or subjected to an audit in the future. Q. Do you have an example of what forms a Tribe would create or use? A. Yes, the Rincon Band has graciously shared their two forms for use with the California Franchise Tax Board. Q. Who can I turn to if I need help filling out FTB Form 3504 or other questions about the state income tax exemption?